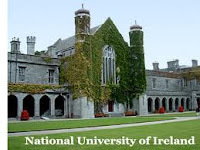 Applications are invited from suitably qualified candidates for PhD studentships in tendon repair based at the Network of Excellence for Functional biomaterials (Official Website) at the National University of Ireland, Galway and at the premises of industrial and/or academic collaborators. The successful candidates will develop a functionalised collagen-based scaffold for tendon regeneration. Applicant specifications: Candidates should hold, or expect to obtain, a first class or upper second class honours BSc and/or MSc degree in a relevant biology-based subject and have a keen interest in pursuing pre-clinical research into tendon repair. Experience in one or more of the following would be advantageous, but is not essential as full training will be provided: cell culture techniques; biomaterials fabrication; protein extraction and purification; collagen analysis; immunohistochemistry; Western immunoblotting; RT-qPCR; in vivo models. Start date: July 2011 or soon after that. Full fees in addition to a stipend of ~12,000 euros per annum will be provided. Contact details of three referees, as e-mail attachments (Word or PDF format only) to nfb@nuigalway.ie quoting reference number “NFB – 03-11”. Closing date for receipt of applications is 5.00 p.m. Friday 10th of June 2011. Demikianlah informasi PhD Studentship in Tendon Repair, National University of Ireland kami sampaikan, semoga bermanfaat.